The Young and the Restless (Y&R) spoilers for Thursday, January 11, tease that another Genoa City resident will head to court. Graham (Max Shippee) and the Abbotts have a fierce faceoff on Wednesday, but Thursday will bring the moment of truth for Reed (Tristan Lake Leabu). He’ll go before the judge and face punishment for his recent DUI. Reed will be a bit nervous and so will his parents. Nevertheless, Victoria (Amelia Heinle) and J.T. (Thad Luckinbell) will do their best to be supportive. They’ll let Reed know that what he did was wrong, but they love him anyway. It sounds like J.T. and Victoria will try to find the right balance of firm, but fair. That’s something they’ve struggled to get on the same page about, but they’ll undoubtedly come together when it counts. Let’s hope this whole experience will help Reed move forward as a law-abiding citizen. Elsewhere, Jack will have a lot on his mind. Graham reveals that he’s married to Dina (Marla Adams) in Wednesday’s new Y&R episode, January 10, so Jack will be mulling over that shocker for quite some time. He’ll worry that it means bad news for Dina. Jack won’t give up on getting rid of Graham, but he’ll have another problem to tackle first. Jabot’s CEO spot will become a pressing issue for Jack and his family. Ashley (Eileen Davidson) and Jack agreed to call a truce for Dina’s sake, so they’ll probably stick with that plan. Since the blood-Abbott amendment is still in effect, there may not be much Ash can do. However, Ashley will still accuse Jack of distracting her by remodeling her lab. At least she’ll get a new workspace out of it! 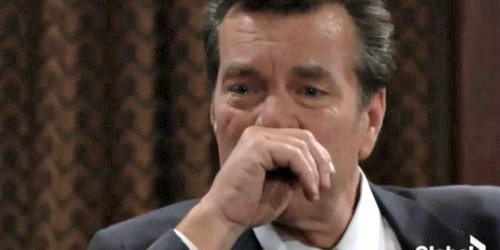 As for Jack, The Young and the Restless spoilers say he’ll focus on reclaiming the Jabot throne. Even without a real fight from Ashley, Jack still needs to prove he’s still got what it takes to lead this company. Across town, Sharon (Sharon Case) will face questions from Nick (Joshua Morrow). He’ll wonder how she’s handling the cheating drama and the end of her relationship. Nick should be surprised to hear that Abby’s (Melissa Ordway) been forgiven. He may worry that Scott (Daniel Hall) will eventually get a pass as well. Sharon’s recent party may also concern Nick. He might feel like Sharon is ignoring her pain and pushing through all this too fast. Sharon will stand up for herself and insist that she’s doing just find on her own. She may have a problem with Nick implying that she can’t take care of herself. The Young and the Restless spoilers say we may see some conflict between these exes, so stay tuned. It looks like some exciting scenes are coming up. We’ll give you updates as other Y&R details emerge. Stick with the CBS soap and don’t forget to check CDL often for the latest Young and the Restless spoilers, updates and news. The Young and the Restless Spoilers: Dina Turns to Victor After Violent Shocker – Covers Up Graham’s Murder?